Recently, i showed you our first Liqurious recipe inspired by Rachel’s Yogurt, Bee Cool, and promised you there were two more to come! Well, here they are! Inspired by Rachel’s Yogurt flavors, here are - Sweet Summer Revival inspired by Revive (Peach Green Tea) and White Flower Bramble inspired by Glow (Berry Jasmine), and concocted by the fabulous Anita (yup, Married with Dinner, Anita who’s been working on Liqurious with us!) 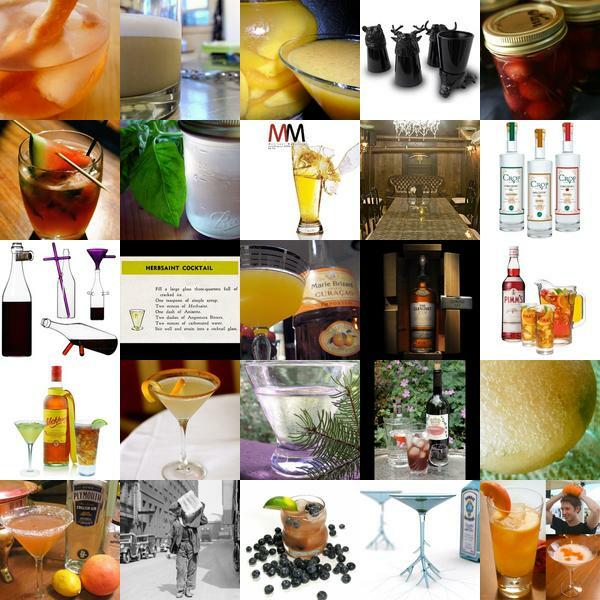 ~ So check out the recipes and how gorgeous pics of some of the key ingredients on the next page! So i’m sure by now you’ve seen some of the many Rachel’s Yogurt ads we’ve had running on the sites… this is going to sound bizarre, but initially i thought it was crazy that a yogurt company wanted to work with NOTCOT… i actually told them that maybe after seeing/tasting it i’d consider it… and then three boxes of yogurt showed up… yes, 36 little tubs of yogurt… that’s like a fridge full! Long story short, the packaging was gorgeous (handwriting on black? love the style)… i am actually still buying the Calm “Lavender Plum Honey” flavor… and as you can see the ads look so pretty and so NOTCOT! 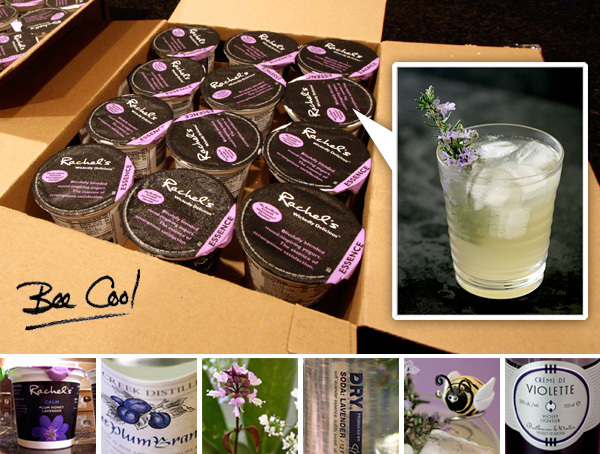 On a really random sidetrack, when joking around with one of our FM sales guys about Rachel’s we were so amused that a yogurt company would have Cocktail recipes on their site (their Yogatini cracked me up! ), and somehow it turned into a silly dare about how Liqurious should have yogurt inspired recipes… i passed the dare on to the amazing Anita Crotty (of Married with Dinner fame) ~ and low an behold, she came up with three delicious and beautiful drink recipes! Turns our Rachel’s legal team wasn’t ready to add our drinks to their site, and after all the fun we had, i’ve decided to share them with you anyhow! 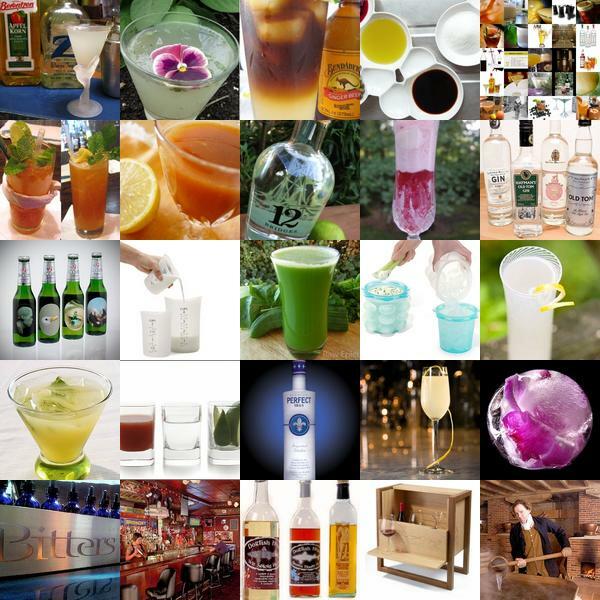 Anita takes the prettiest pictures of drinks, and the ingredients that go into them! So for today, i wanted to kick off Monday with Bee Cool. 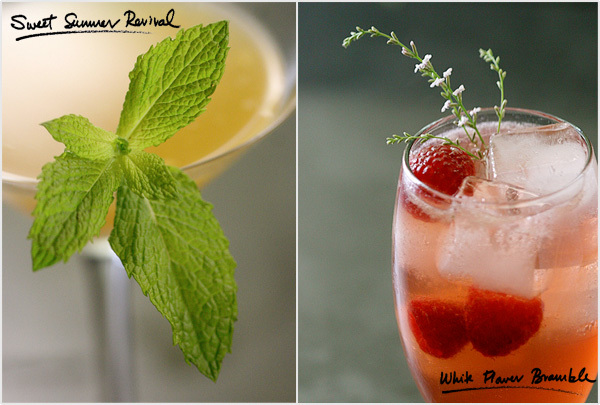 See more pics and the drink recipe on the next page! 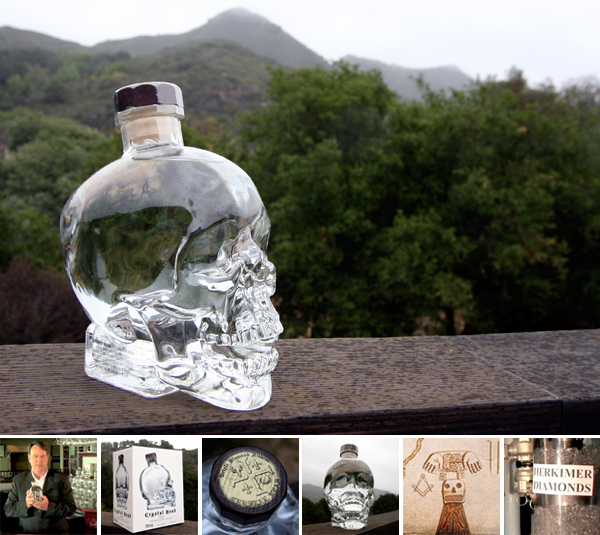 Crystal Head Vodka - It’s REAL! The internet is a buzz with rumors on the latest “viral” video of Dan Aykroyd showing us his new Crystal Head Vodka in a gorgeous glass skull. Rumors include this being a video for the new Ghostbusters or some Indiana Jones… but i guess lesson to be learned here is ~ just because it’s going viral, doesn’t mean it’s not real! 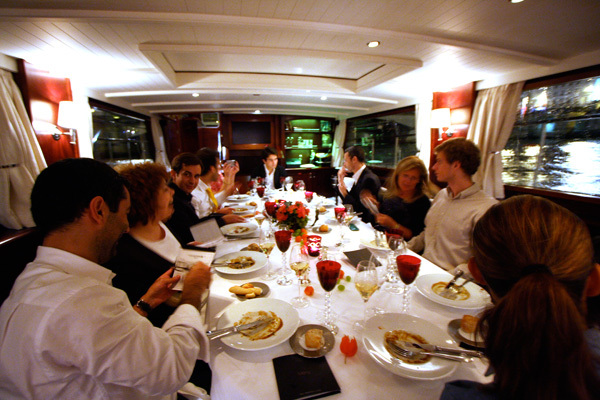 See the pictures of the real thing and the video on the next page! UPDATE: Dan did some crazy internet researching for us and here are some fun facts: Dan Aykroyd is not only an actor, but co-founder of the House of Blues, part owner of Diamond Estates Wines & Spirits Ltd (which distributes Patron in Canada), and is building his own winery, Dan Aykroyd Wines (which uses 100% snob free grapes!). There is a great interview with him on delish before the vodka release where he exposes how serious he is about wine, Crystal Skulls, UFOs, and “pure spirit from Newfoundland glacial pool water, and peaches and cream corn mash”! Wow, can you believe it’s friday already? So here’s this week’s Liqurious Happy Hour to kick off your weekend! As you know, click the pics to find out more about each post! 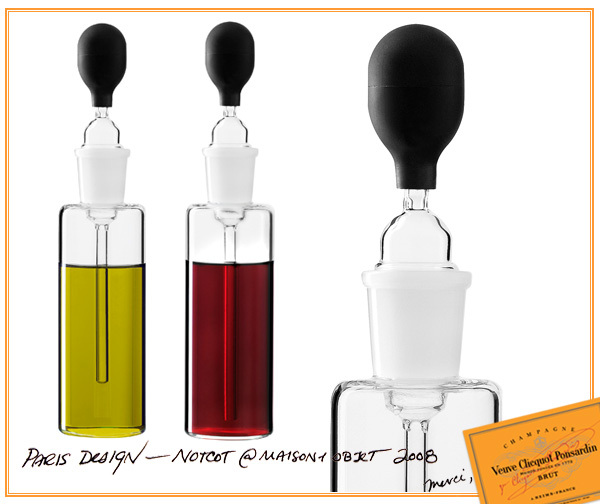 Also found at Maison et Objet - designed by Camilla Kropp for Design House Stockholm, this set of Pipette Oil & Vinegar Bottles calls to the mad scientist in all of us… regardless of whether we’re in the kitchen, in the lab, or simply in our heads. And who says these bottles can only be used for oil and vinegar, they work just as well for soy sauce, chili oil, sugar water…….. in fact seeing these gets me thinking, you could even use these in your lab…. or your labware in your kitchen? But unlikely its as gorgeously designed as this! Really what it comes down to is that there is no longer an excuse for imprecision! (Although i’m not clear on whether there are actual measurement marks on the pipettes.) See a close up on the next page! 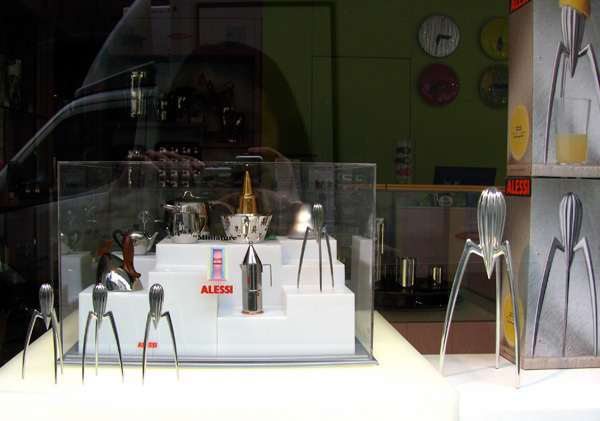 Wandering past the Alessi store on my block, i stopped and did a double take as i saw the Alessi Miniatures ~ particularly the “juicy salif” miniature citrus-squeezer by philippe starck for alessi from 1990… Honestly, of all of them, it seemed the most usable… can’t you just imagine using it to fresh squeeze some mini kumquat juice into a shot glass for some designer shots? While i’d heard about these, the images online (see next page) really don’t do them justice, it’s seeing it next to the original that makes it that much more fun! And at a mere 2” x 1.8” - h 4.5”, it could even make for an adorable christmas tree ornament! The Barbara Carafe by Nina Jobs for Design House Stockholm ~ is a brilliant experience… the glass carafe comes with an option of Amythest, Black, Clear crystal balls, which has a subtly ground surface, so it won’t roll away… the crystal balls can serve as a top for the carafe, add more intrigue and/or a splash of color when hidden in the nest of a bubble in the base of the carafe, or as merely another playful tactile aspect to the carafe experience. And what could they possibly do to make such a gorgeous design better? Have it come in a gorgeous matte black gift box that sort of resembles a hat box… so when purchased you don’t even have to worry the unboxing experience! See more images of the Barbara Carafe by Nina Jobs for Design House Stockholm on the next page, including hands on pics from Maison et Objet. 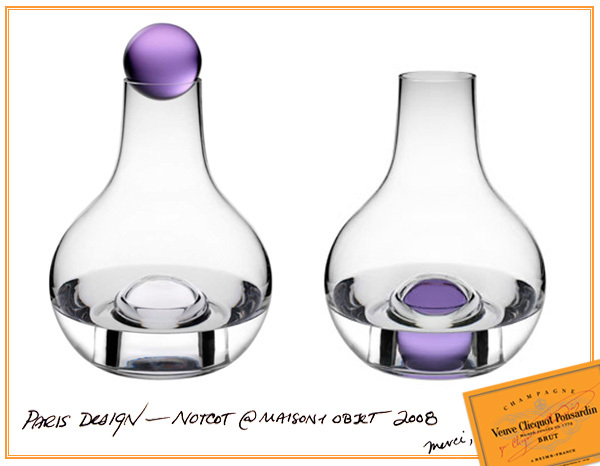 Carafe Un Verre from Sentou by Claudio Colucci. First time seeing this gorgeous handblown carafe in person, it’s even nicer than i expected. Although designed in 2001, Sentou is apparently re-releasing the piece, and has improved the production of it. 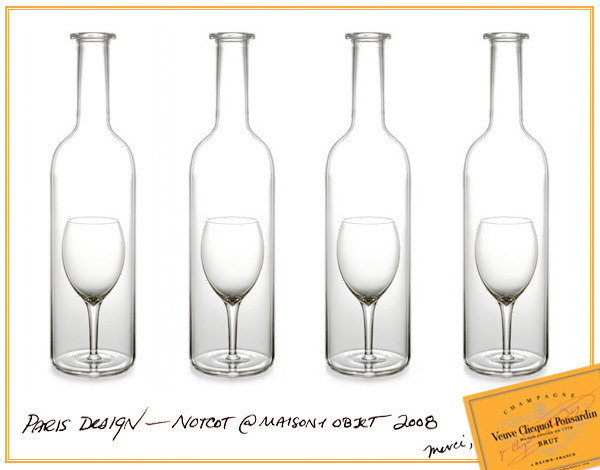 The design magically embodies the wine glass within the carafe, which creates an interesting visual depending on how you fill it and what you fill it with… if you’re careful, could be fun to fill the glass with one liquid, and the main with the other…. shake to mix before pouring? 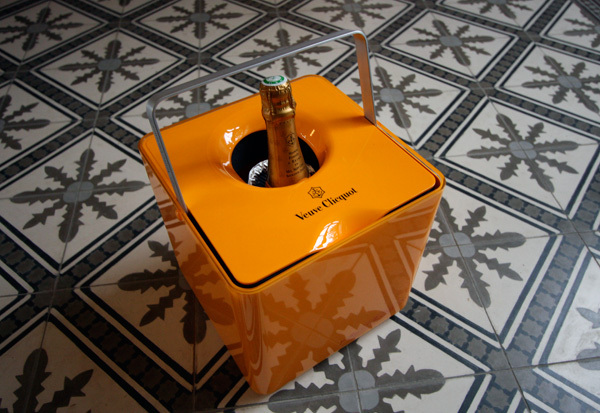 See more images, especially ones of it at Maison et Objet on the next page! Can you believe its Friday already? 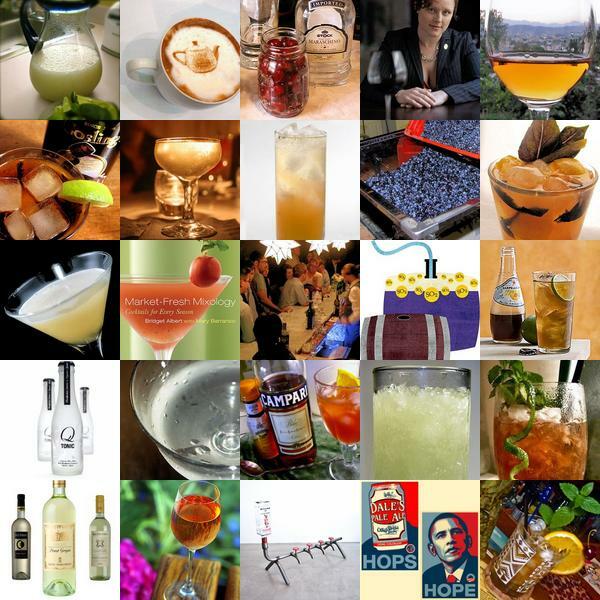 Well, here’s to Friday afternoon (of a long weekend for the americans) ~ and to kick it off, here’s your digital dose of happy hour, rounded up from what was sipped at Liqurious this week! Click those images to find out more info! Chin chin! Click the images to find out more! Sorry running a bit late on my Liqurious Happy Hour this week ~ let’s just say i finally feel like i’m taking a slight vacation for the next few days, popped up to SF for Outside Lands, but the madness has been a bit much to take, and its freeeeeeeezing, so been doing some catching up with linhchi, shopping/decorating for dan for burning man, and running around the city buying silly toys and making things again (yay!) ~ so the next few days may be a bit more silly posts than usual! 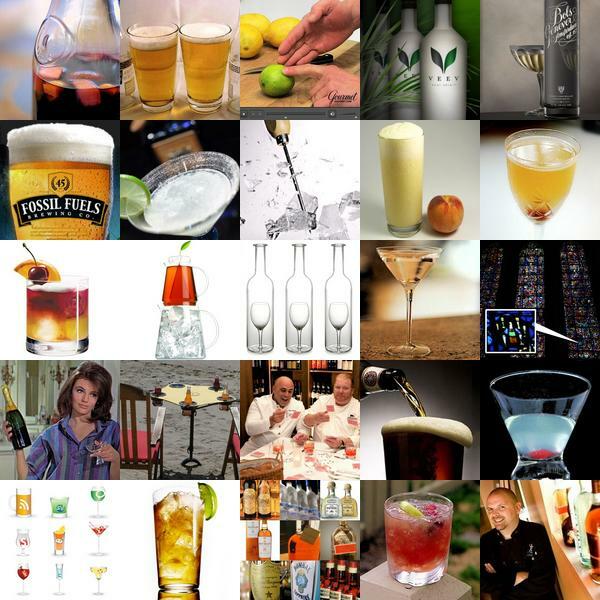 BUT, here are some of the things people have been drinking in the last week ~ how gorgeous are they? Click to see more! Also, you can peek at my Outside Lands pics here! 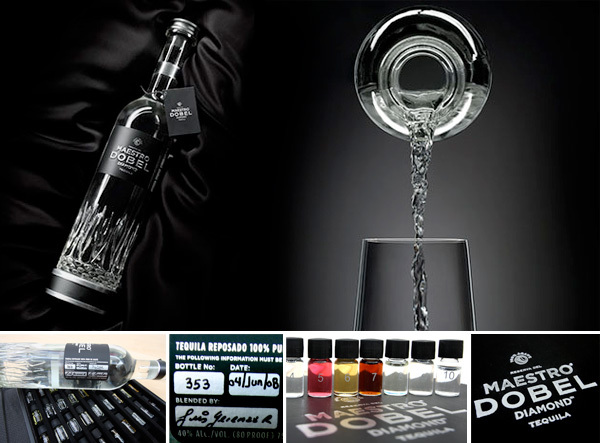 Maestro Dobel ~ the “world’s first-ever diamond tequila” ~ with incredible undeniable crystal clarity (seriously, it looks like water in a glass) ~ but even more incredible than the taste and the complexity of this high end tequila? The set of 50 tiny vials of aromas they sent over which utterly overwhelmed my olfactory system ~ and before we even had a chance to taste the tequila, things quickly digressed into a pick a random bottle and try to name that scent. See images and the full scent listing of the case on the next page. Noteworthy details on the bottle packaging ~ i love that it is hand numbered, signed, etc ~ and that silver on matte black definitely pops off a bar, not so sure about the base though, seems to kill off all the fun of bottom lighting! And it retails at $75.Take a peek at our experience on the next page, and honestly, you have to taste this one to experience how good it is (and i’m not usually a tequila kind of girl). Happy weekend! 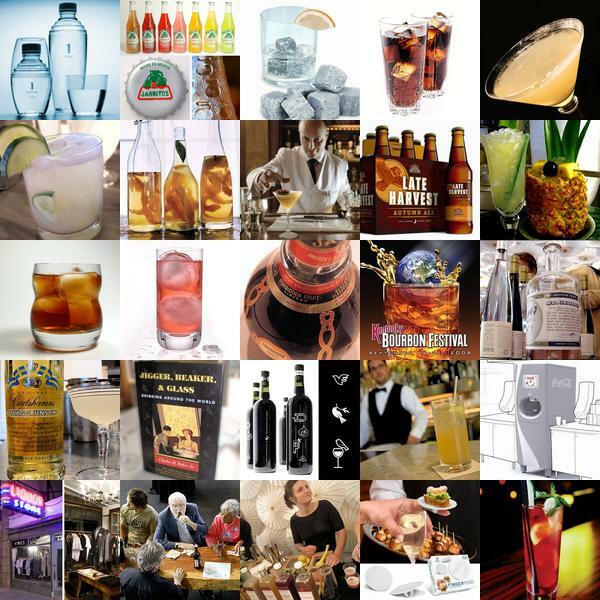 Here’s a Liqurious happy hour roundup to help kick it off with some libatious inspirations - click the pics to find out more!